These boat details are subject to contract. 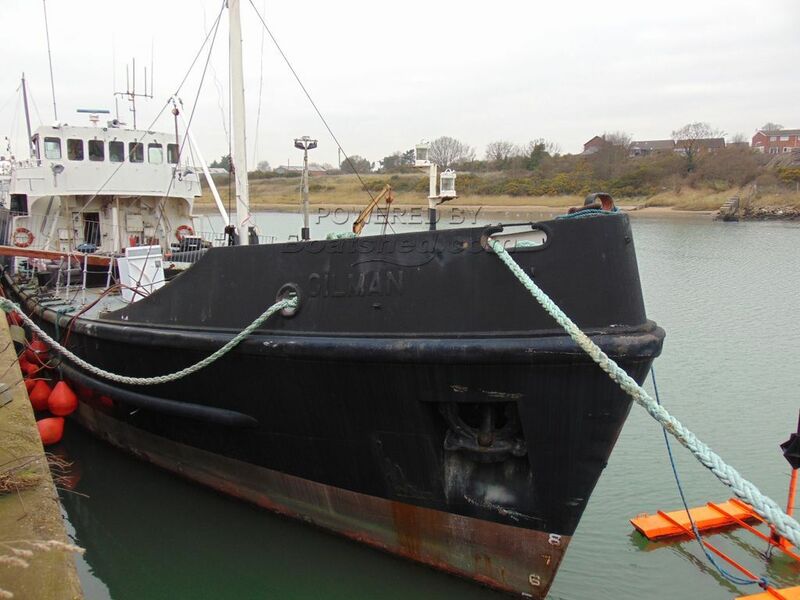 This vessel, built to the order of the MOD UK, was maintained in full commission until very recently. Of all steel construction, she was built for bunkering naval ships and was capable of carrying 250 tonnes of oil. Her tanks have been cleaned completely so there is no residual odour. The built accomodation comprised sleeping for 13 persons, the partially converted holds could be made into a most interesting home of great character. The present owner is a first class ships engineer and the apparent mechanical condition is faultless. She could be under way in a very short time. This vessel represents extraordinary value. This Commercial Coaster has been personally photographed and viewed by a representative of Commercial Boat Sales. Click here for contact details.